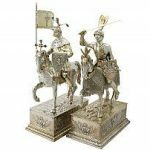 When we speak of antique silver we are referring to a collectable silver object, created a long time ago, which has high value due to these facts. The definition of an ‘antique’ is an item that is a hundred years old or more. It is acceptable however, for the term ‘antique’ to be used for an item manufactured before 1940. Wherever possible we aim to date an item of silverware accurately; this is made possible by hallmarks. The British date mark is usually a stylised letter of the alphabet, these letters change style, shape, shield and case over the years. 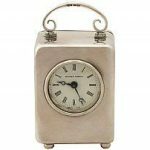 Of course, if there is a legible date mark on an item of silver, we are able to date it precisely,(as long as the assay office can also be identified) and state whether it is antique. If the mark is illegible or isn’t present on the item, that’s when it gets slightly trickier to accurately state if it’s antique. There are other ways of deciphering the period of an item of silver. Sometimes, a products town mark can tell you a lot about the age of the piece, so it is worth checking. An example of this would be the Sheffield mark which was a crown prior to 1975, but then in 1975 the mark changed to a rose. Another example would be the London mark, a leopard’s head which was crowned up until 1821, and then lost its crown from then onwards. So, if you come across an item of silver with no date mark, yet it has the town mark of a leopard’s head with a crown on it then you can be certain that it is indeed a piece of antique silver. A little bit of research on makers of the antique period can also help to date a piece. Horace Woodward & Co Ltd dissolved in 1919, when they were acquired by Aidie Brothers Ltd., therefore if you have an item of silver with the maker’s marks for Horace Woodward & Co. Ltd, then you can be certain that it is a piece of antique silver. 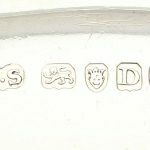 It is worth researching any marks that are struck to your item of silver, as usually they will tell you something about the piece that could help you age it. If an item of silverware reflects one of these styles, it could be indicative that it is a piece of antique silver, due to when the style was popular. Below I will describe a few different styles and when they were in popular. This style is usually characterised best in architecture; think of spires, cast figures and pointed arches. It involves a kind of boldness. This style was mostly confined to ecclesiastical silver. Overall, it could be argued that this wasn’t a popular style for silverware, so although the style spans a long-time frame, it wasn’t an exceptionally popular style that silversmiths tapped into. An opulence of plant life characterises the Baroque style, examples would be, garlands of flowers and scrolling foliage. Another feature is the presence of ‘putti’ which is the Italian word meaning boys, and the word used to describe the chubby infants seen on many Baroque objects. The baroque style dominated the court of William and Mary from 1689-1694. The Rococo style can be regarded as one of Frances most original and creative contributions to the Arts. In England, the style was seen as completely different to anything prior, thus silversmiths adopted the style with great enthusiasm. The change was generally one in decoration rather than form. For example, the swirling movement of water was a key feature of the Rococo style, as well as naturalistic floral displays and masks. 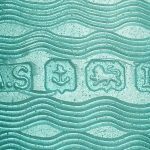 Furthermore, a common motif was the shell with its rippled surface texture and frilly fluted edges. This style became very popular in the second half of the 18th Century, which saw decoration based on Ancient Greece and Rome come into fashion. It was around this time that the common education for any wealthy young Englishman’s education to involve a year trip touring the continent. The archaeological findings of Pompeii and Herculaneum made the ancient world more accessible, which in turn revealed great depth of styles, influencing almost every area of contemporary fashion at the time. Wreaths, ram’s heads, Greek key borders, urns, drop ring handles and swags became common motifs emerging from this style. Often large areas would be left without decoration in order to fully display and emphasise the shapes and the grace of the proportions from the predominant decoration. 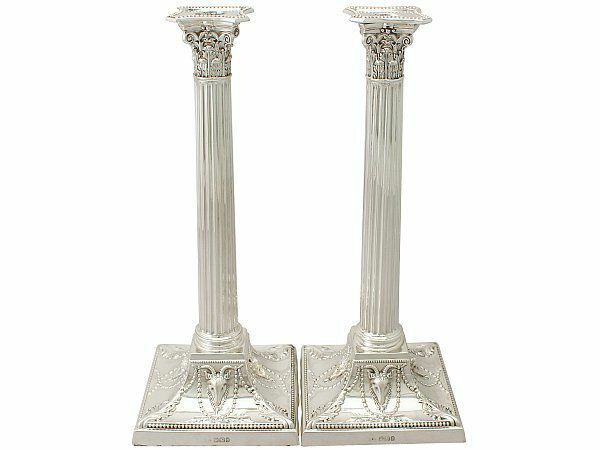 Silversmiths and craftsman were quick to catch on to the adaptability of the Grecian columns- they were perfect as shafts for candlesticks. This is a design of candlestick which remains popular to this day!